For some of us, along with this colder wintry weather, comes aches and pains and uncomfortable days. For others, it can be aching muscles caused by falls, sports, or long time spent on your feet. Whatever it is that may be causing any aches or discomfort, there is one product that I swear by and have done for years and that is Arnica. 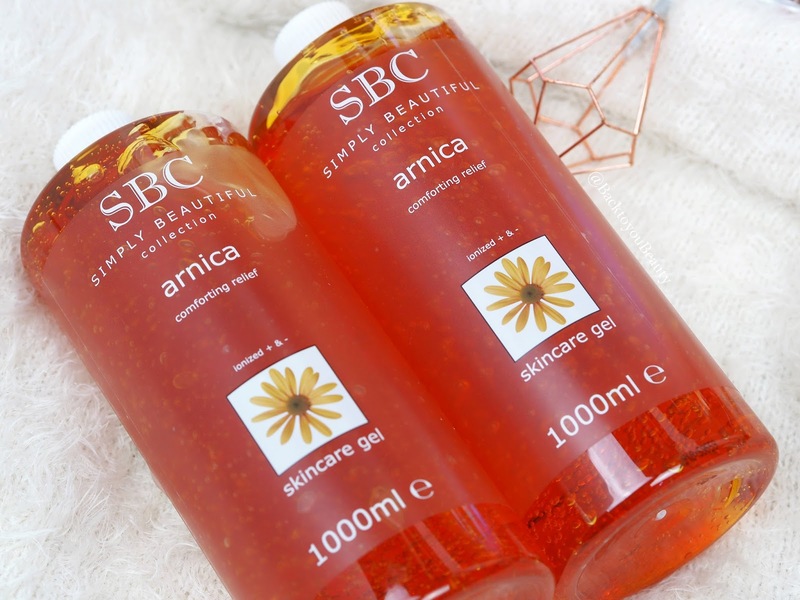 SBC, a brand which I have spoken about many, many times on this blog, are famous for their Arnica products and much loved in my family for many reasons. The following SBC 5 Piece Arnica Favourites collection contains everything needed to help give some comforting release to those aches and pains. Obviously speak to your doctor if you have any major concerns before hand. 2 x 500ml Arnica Shower Crème – Loved by the men in my household immensely, this beautifully rich, comforting shower crème does more than just cleanse the skin. This is the start of the Arnica journey and a great way to layer the product. The smell of this is warming and comforting and it creates the most beautiful soft, gentle bubbles. Great to put on a shower sponge, breathe in the aromatic vapours and indulge in some relaxation. 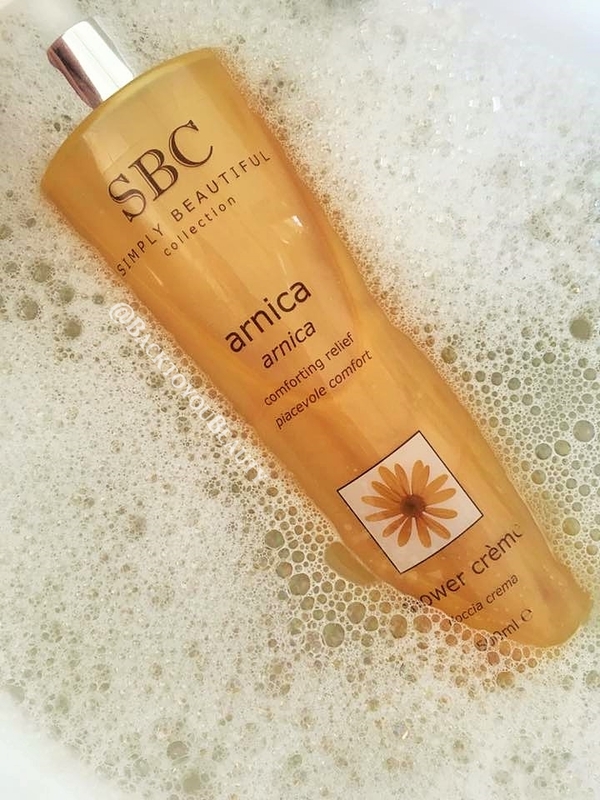 SBC Arnica Shower Crème can be used in the bath too! This can also be added under running water to create a gently foaming bath and used all over the body to gently cleanse yourself and create a feeling of calm and wellbeing. Yes that’s right, 2 litres of this wonderful product. I have been using this product for, goodness….well over 10, maybe 15 years. This Salon sized, multi award winning Arnica Gel, I believe, should be a staple in every household. From banged children’s knees and bruises to full on aches and pains, this is my “miracle” gel. The water based gel formula, is suitable for all ages and all skin types. It does not stain clothing or bed sheets and is gentle and easy to massage in or layer on the skin. Arnica Flower Extract is known for its anti-inflammatory properties and for this reason I get through so much of this product. I suffer from Fibromyalgia and hold lots of stress and tension in my neck and shoulders. When I have a flare up I can have pain in my arms, legs, knees, elbows, hips, waist you name it. I gently layer and massage the gel anywhere I feel I need pain relief and lie back and relax and let my muscles take it all in. Now obviously SBC cannot make any medical claims, as I cannot either, I can just tell you how I love it and use it and how much relief I experience from it. My youngest son loves it massaged into his calves before and after his Tennis sessions and if he has any bruises or bumps at school it is the first thing he reaches for and my eldest son always uses this after his police training. Loved by everyone including my 82 year old nan and in all of our cupboards. ﻿﻿﻿The great thing is you get two of these HUGE sizes which are perfect for sharing and decanting into smaller bottles and putting all around the house, car and bag. 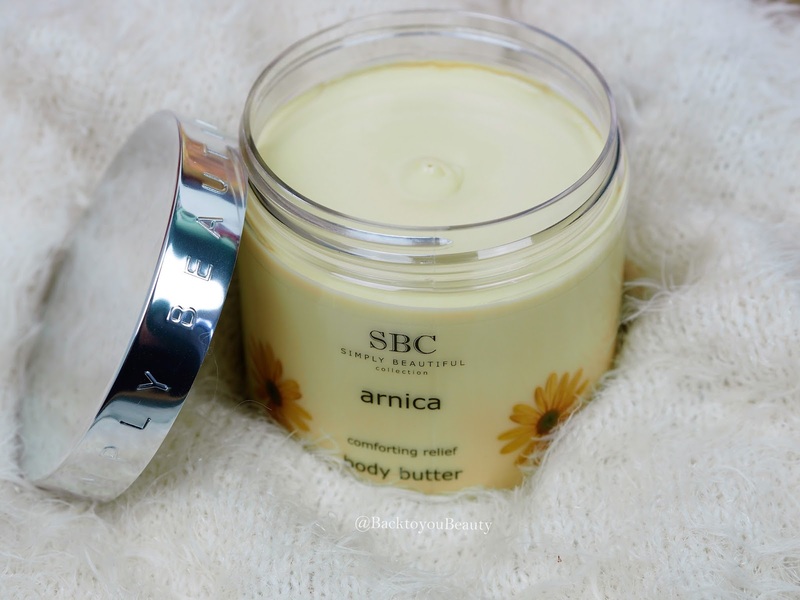 A brand new and exciting release for SBC is this decadently rich and luxurious Arnica body butter. This is soo gorgeously nourishing, soothing, hydrating and moisturising on the body that you will soon become addicted. With Arnica Montana being one of the oldest and most widely used forms of the herbal treatment in the world, you really have a great product that not only looks and feels luxurious but can also heal bruises, help with stretch marks and help with minor burns and many other issues. Arnica is combined with nourishing Shea Butter, Sweet Almond Oil and Vitamin E which makes it easy to massage into the skin without causing any more pain or trauma. A great butter to apply to any one of any age, including children after bathing or showering as it locks in moisture and creates a protective barrier on the skin to prevent moisture loss. Plus is smells warm and amazing. Perfect for this season. My thoughts on this collection – It is absolutely no surprise that I am a huge fan of this brand and this range and am over the moon thrilled with this new inclusion to the range, body butter. I would highly recommend this collection. 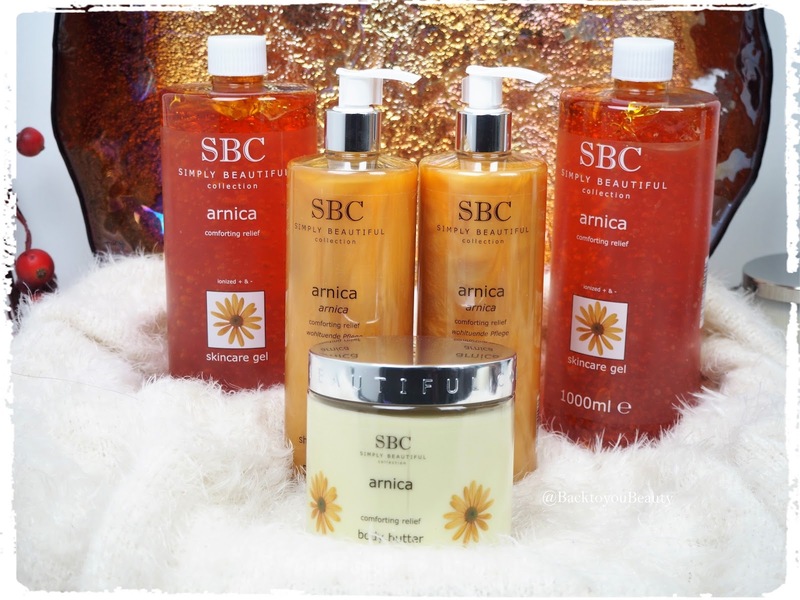 Arnica is available directly from SBC HERE however, this collection is exclusive to QvcUK as a Todays Special Value for one day only, whilst stocks last on 28th December 2017. You can purchase the collection HERE when it becomes available. Have you tried anything from SBC before? Which is your favourite product, I would love to know, please leave me a comment below. I also use Arnica would not be without it, I also purchase it for my teenage granddaughter who uses it before and after dance and my son uses the arnica warm on his wrist he works outside all year round and says it helps a lot, like you Sharron it's something we always have to hand. Yes! It’s a real family staple! I've heard a lot of good things about this brand. The Body Butter appeals to me the most. The collagen gel is amazing!! I add it to everything!! This was my first ever Arnica brand, there are some amazing ones out there! It is so good on dry legs! !